Bay Area Disc Jockey Association, Bay Area, Disc Jockey, DJ. Experience. My company is strictly owner-operated. 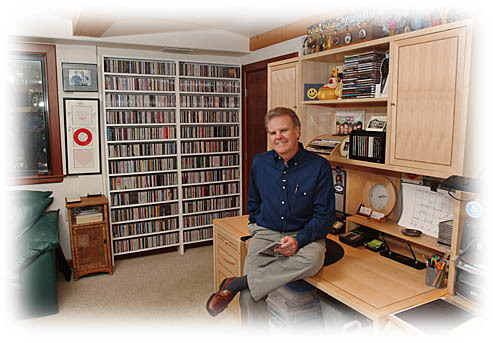 I created it in 1969 and I still perform at every event so you are guaranteed one of the most experienced disc jockeys in Santa Clara County. For over thirty years I have been entertaining at wedding receptions, company parties, class reunions, picnics, birthdays, retirement parties, anniversaries, fundraisers and fashion shows. Reputation. Mention the name Nickelodeon or Carl Mindling to any catering manager, event planner, photographer, videographer, or another entertainment company and you will find that I am well known in the industry. I have a strong reputation for many years of consistent quality. Music. Most D.J. companies will advertise they provide a wide variety of music. I too offer variety, but take it one-step further by displaying a list at every event with hundreds of the most popular songs available. Your guests are invited to step up to my song directory and make requests. All of the songs are categorized by music styles for easy reference and browsing. Local Knowledge. The Bay Area is my home. I have worked at nearly every event facility in the area. I have a strong working knowledge of all the hotels and clubs. I know the best ways to access the stages and performance areas. I come prepared with the appropriate equipment and staff to safely move my sound systems. Equipment. I use only digital audio. I feature Crown Amplifiers, Rane Mixers and Electro Voice speakers. All of my components are permanently mounted in custom cabinets. Full Time Service. My disc jockey service is my only profession. I make a full time commitment to my business which means you get full time service. During the week I am meeting clients and preparing for my weekend events. I am easy to reach during normal business hours and yet flexible enough for evening appointments. Price. The old expression "You Get What You Pay For" applies perfectly to the mobile D.J. industry. You'll find my rates to be higher but my service to be incomparable. If you're willing to settle for just average, then simply pay the going rate that many D.J. companies charge. However, if you're looking for something much better than average, consider the many differences that over thirty years experience continues to make. Your Musical Host Since 1969.